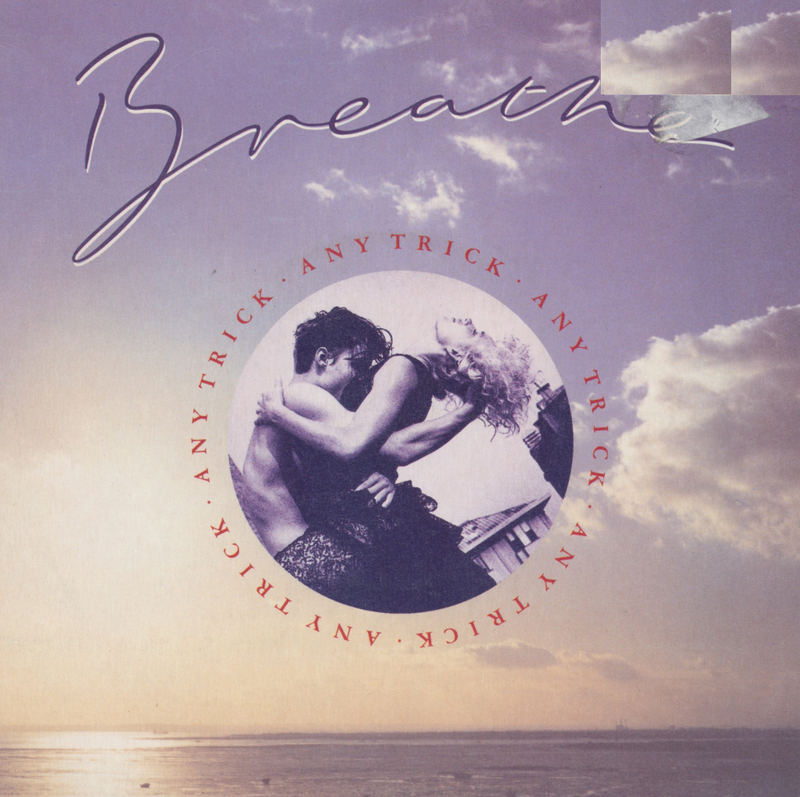 Breathe also released 'Any trick' from their debut album. It was remixed by Mike Ging and dubbed the 'Like a monkey radio mix'. 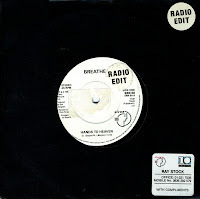 The remix didn't help the fortunes of this single release: it did not trouble the UK charts. If you dislike the sleek, polished sound of Breathe, you should check out the B-side of this single: it's a great dub mix that was not originally an album track. The 2013 re-release of Breathe's debut album 'All that jazz' does include the track - but then, that double CD edition collects virtually everything that was released by the band at that time. 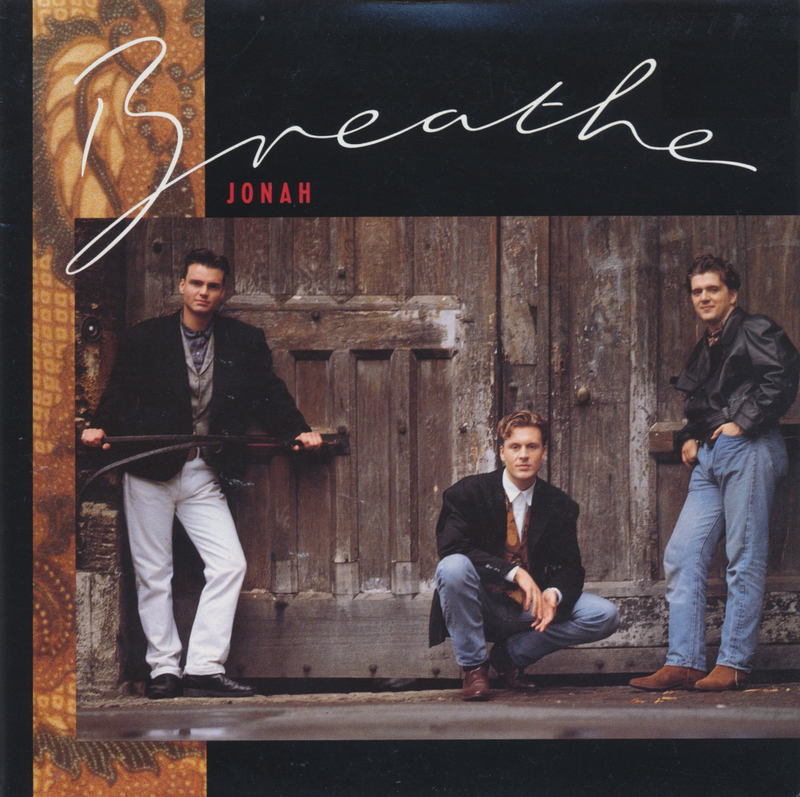 Another release from Breathe's debut album was this single, 'Jonah'. Originally released as the band's third single, it didn't do much in the charts. After the impressive chart success of 'Hands to heaven', this single was re-released in a new poster sleeve. The record company probably hoped the song would do better the second time around. Well, it did, sort of. This time the single reached number 60 in the UK singles chart. That was still not a great success, but history would prove that it was the fourth best chart placing in the UK for them. Later singles 'How can I fall' and 'Don't tell me lies' (another re-release) reached number 48 and 45 respectively. Breathe blasted into the UK singles charts with their second single 'Hands to heaven' and they were hailed as the year's biggest new promise back in 1989. However, after releasing six singles from their debut album 'All that jazz', only four made it into the charts in the UK, and when they came up with a second album 'Peace of mind' in 1990, nobody seemed to be interested. 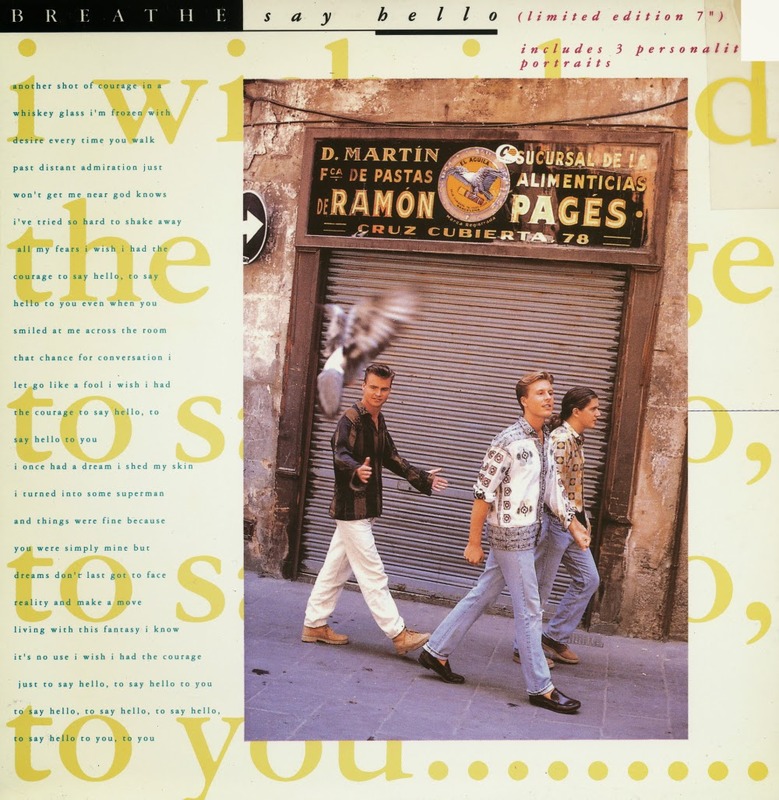 'Say hello' was the lead single from that second album, and although it was released in this attractive limited edition package featuring a fold out sleeve and three photographs, not many people took the trouble of actually taking the single home. The result was a measly number 87 in the UK singles chart, After the second and third singles did even worse, the band called it quits. In the Eighties not only dance tracks got the 'extended remix' treatment, but also ballads. 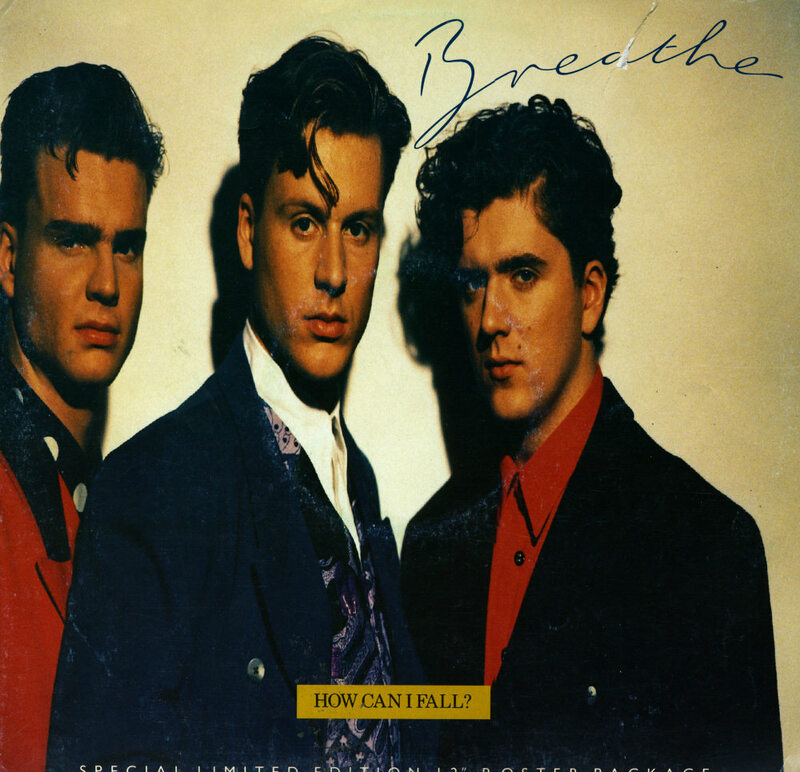 Sometimes this resulted in very beautiful tracks, such as this version of 'How can I fall' by Breathe. With some instrumental additions, the track is extended to great effect. What's more, this 12" single was released in a limited edition poster package. The 24"x36" photograph is the same as the one on the front sleeve, but it's still a nice gesture. 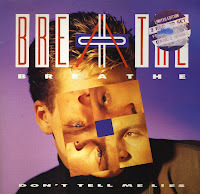 'Don't tell me lies' was released in 1987 as the debut single by the British band Breathe. It wasn't until their second single 'Hands to heaven' was released, that they became well-known, as this first single only reached number 77 in the UK singles chart. The single was re-released in 1989 as the last single from their debut album 'All that jazz', and on that occasion it reached number 45. This 12" single was released in 1987 and featured a free second disc with a dance remix of 'Don't tell me lies'. There is something wrong with my copy though: the labels of disc 1 were stuck on disc 2 and vice versa. It's all very confusing - but at least all four tracks are there. 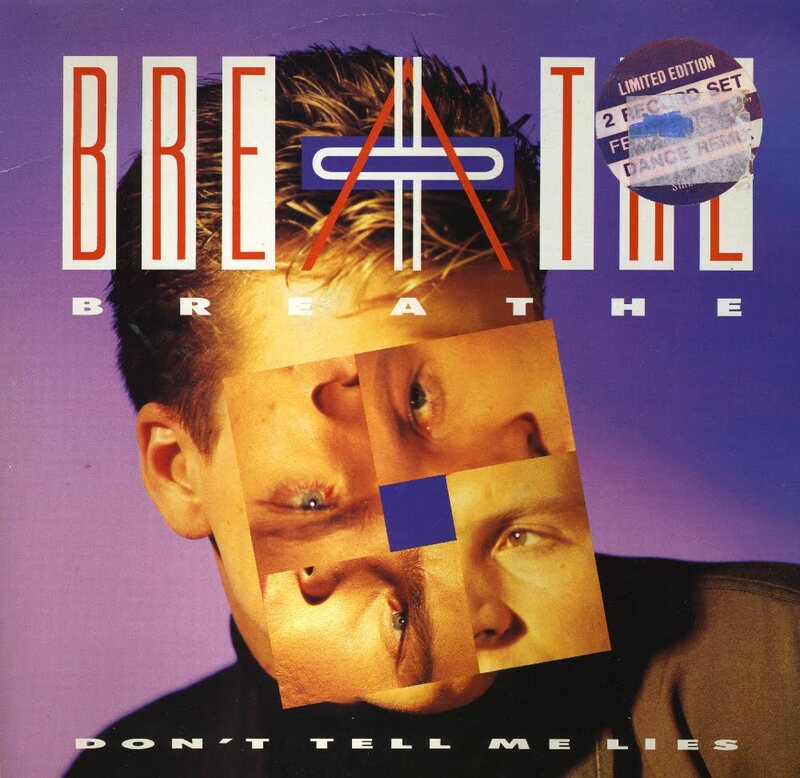 'Don't tell me lies' was originally Breathe's debut single, released in 1986. Although it reached number 77 in the UK singles chart, the band took some time to come up with better material, finally returning in 1988 with the top 5 hit 'Hands to heaven'. 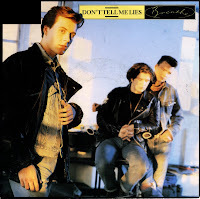 After 'How can I fall' was also a chart hit, 'Don't tell me lies' was re-released. The single reached number 45 this time around. Released as the second single from Breathe's debut album 'All that jazz', 'How can I fall' was a beautiful ballad, which peaked at number 3 in the US Billboard Hot 100 chart and number 48 in the UK singles chart. In the Netherlands, the single reached number 23. It was released in a limited edition containing a 1989 calendar. The gatefold sleeve could be made to stand up in a triangle, to be used as a desk calendar all year. 'Hands to heaven' was the breakthrough hit single by Breathe, released in 1988. The song was written by group members David Glasper and Marcus Lillington. Ian Spice and Michael Delahunty completed the line-up. The single reached number 4 on the UK singles chart, while in the USA the single even made number 2 in the Billboard Hot 100 chart that same month This song was one of a number of singles, many by British and Australian bands, that helped to shape the smooth jazz radio format in the US in the mid to late 1980s. Other associated artists include Swing Out Sister, Johnny Hates Jazz, Icehouse and Sade.